Detroit Wrecker Sales is a proud USA manufacturer with our headquarters and facility in Detroit, Michigan. We partner with local steel vendors to provide the highest grade materials on the market. Detroit Wrecker will not compromise manufacturing costs, or sacrifice supporting other American businesses in order to make more money. We want a quality product with roots in the Motor City, that people worldwide can look at and say, “that’s Detroit Wrecker.” 100% of our steel comes from local Detroit vendors who only use high quality American Made Steel. 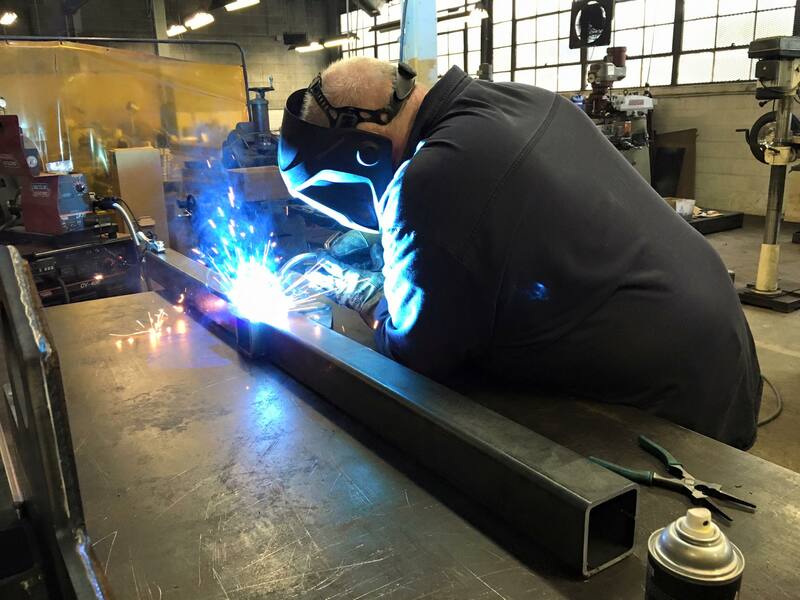 We have a massive fabrication shop, as well as one of the largest full-service repair, maintenance and restoration facilities in the midwest, and we support over 25 local small businesses to execute our daily manufacturing needs. Built to Last – The American Way is our way. We focus on continual improvement, and crafting quality products that are built to perform, and to last a long time. That means our customers spend more time out making money, and less time in the shop for maintenance and repairs. We are proud to manufacture and fabricate our machines, down to the pins, bushings, and cylinders, right here in our shop. 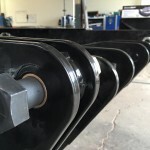 Our car carriers, wheel lifts, and custom accessories are hand-crafted and built from the ground up. Because we fabricate the pieces ourselves, and we know we do quality work, we back every product made in our shop with a no-nonsense lifetime warranty. Intelligent Designs – We have developed and perfected several designs to make life easier for operators. 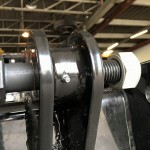 From the high-quality, low-maintenance pins and bushings we fabricate in-house to make superior pivot points, to our specialty bike chocks and signature Lil Hercules Wheel Lift and DWS Low Loaders, we are in your corner and manufacture products with you in mind. Custom – We can outfit any heavy-duty truck, F-650 type or bigger, with our proprietary Low Loader Car Carrier System. 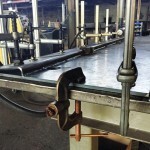 We have a complete fabrication shop, where we manufacture all of our pieces, pins, bushings, cylinders, and parts. 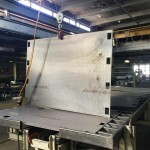 If you need something custom designed, custom built, or just a one-off piece to solve a problem, we can handle it right here. Talk to our engineer to design the unique truck of your dreams. Get it Fixed – We also have a Full Service Repair Shop, staffed with talented and experienced technicians and mechanics. Our guys are the best in the business. They will treat you right, and get your service or repairs done quickly and properly. We take great pride in our work, and you will see the difference! We also carry parts and accessories from ALL of the towing equipment companies, including Chevron, Jerr-Dan, Dynamic, Miller, Challenger, and Holmes. Whatever brand you use, operate, need a part for, or need serviced, we’ve got you covered. The A Team – We are proud to have the best minds and talent in the towing equipment industry. Mike is our equipment salesman. He has a lifetime of experience with towing equipment and will hook you up with exactly what you’re looking for. Joe is our parts manager. He manages the parts department and team, and is an expert in the leading towing equipment companies’ products. He can get you any part you need, and is also incredibly talented at diagnosing service issues. Nick is the service department superstar. He owned a big towing company for 20 years, and maintained a fleet of tow trucks. He knows towing and tow trucks, and can diagnose and recommend solutions for service issues. Lee and Steve are the genius masterminds behind our new products and innovative improvements. Any custom application you are looking for, you can deal with the engineer and designer directly to design your completely unique truck. We also have incredibly skilled and talented service team and manufacturing team. Don’t let some guy in a store sell you the wrong part, or extra things you don’t need. We will sell you what you need, and nothing more. 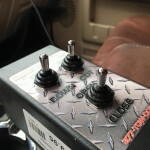 We’ll install it right, so you can get back to the road!